In addition to the opinions of the ordinary users about the Special Software, the opinions of experts are now being presented to you. Anatoly Wasserman was born on December 9, 1952. He graduated from the Odessa Technological Institute of Refrigeration Industry, and has an engineer degree. After graduation he worked as a programmer, then - the system programmer. For the first time appeared on the screen in 1989 in the club “What? Where? When? ”, then - on the“ Brain-ring”. He achieved fifteen victories in a row in 2001–2002 and became the best player of the decade in 2004 in the television version of “Own game”. Five-time champion of Ukraine in the sports version of "Own game." Four-time champion of Moscow in the sports version of "Own game", a bronze medalist of the same competition, silver in 2017. Silver medalist of "Connoisseurs" - World Games of connoisseurs - 2010 for "Own game." In addition to the opinions of the ordinary users about the Special Software, the opinions of experts are now being presented to you. Alexander Druz - the first master of the intellectual game "What? Where? When?". Six times was awarded the "Crystal Owl" prize as the best player of the club. Winner of the "Diamond Owl" - a prize for the best player. Champion of the television version of the Brain-Ring. In the TV program “Own game” won “Linear games”, “Super Cup”, won with the team “III Challenge Cup”, set the absolute record of performance in one game. Author and host of intellectual games and educational programs on various television channels. In addition to the opinions of the ordinary users about the Special Software, the opinions of experts are now being presented to you. Maxim Potashev - Master of the game “What? Where? When?”, Four-time winner of the prize “Crystal Owl”, twice world champion, three times Russian champion, six-time Moscow champion, three-time winner of the Moscow Open Championship in the game “WWW”. According to the results of the general audience vote in 2000, he was recognized as the best player for all 25 years of existence of an elite club. 50 thousand TV viewers of the program voted for Maxim Potashev’s candidacy. He received the "Grand Crystal Owl" and the main prize of the anniversary games - "Diamond Star" of Master of the game. Member of the Board and since 2001 - Vice-President of the International Association of Clubs. By profession - mathematician, marketer, business coach. He graduated from the Faculty of Management and Applied Mathematics, taught at the Department of General and Applied Economics at MIPT. In August 2010, he was elected President of the All-Russian Public Organization “Federation of the Sports Bridge of Russia”. He heads a consulting company that helps various organizations to solve problems related to sales, marketing, customer service and optimization of business processes. In the 21st century our lives are connected to the Internet, computers and telephones. Advertising, mailing, notifications, greetings and more takes an important part of modern business. Our mailing list software is multi-faceted. This is not just automatic or manual message sending. This is a global system to work with clients. In the software for email list management you will be able to earn your own database and work with each client individually. It is very important in achieving good results in business. What can our mass mailing software offer? It can give you an individual work with each message and accounting of messages. The mailing list program allows you to find out mistakes in sending. It also will show you the status of message from the provider. It displays the cause of the error, allowing you to easily fix it. Mass mail software can create a mailing as for just one customer and for many customers. Before sending it can it will count the total sum, and also will check messages. You can send a prepared template and message in a single copy. The mail list software does not mix mailing in one single module. Automatic mailing is adjusted through a special window where you can specify the date of mailing, its type, contacts, a recipient and also you’ll be able to edit the message. The window will show at what price we are mailing and display a status of message. There is also a function to write any notes that might help in the future work. The program for mailing list management system will show to the head of an organization the report on mass mailing. Our specialists can set up additional reports for the head of an organization. The mailing list management software will help to make one-time messages, mass mailing to notify, for example, that the order is ready. You will be able to congratulate your customers, because they love the friendly attitude towards them. You can write your clients about all the discounts, sales or other innovations in your company. The mailing program allows you to do any kind of mailing, perform this work in a short time; it can be done in a couple of clicks. It is very important in mailing not to miss a single message, a detail and mistake. Therefore, the program for electronic mailing list will help maintain control of mailing, validation of email address and phone numbers. It is interesting that the mailing list app due to operators and automation service mailings gives an opportunity to show whether currently available the number or not. Sometimes we forget to keep track of money on a phone, sending SMS via the Internet before mailing will assess and compare your money and needed sum. This will help you to coordinate your actions. The software for mailing automation may be provided to you as a demo version. Just write or call us. The versatility of the software for mailing control allows you to work not only with your region or country, but also with the whole world. The software for mailing management - create “Wow” Customer Service! The following list represents some features of Special Software. Depending on the configuration of the software, a list of features may vary. Send SMS to specific customers. The mailing list software sends messages to group of clients’ mailboxes selected according to certain criteria. Sending of SMS via internet is carried out to phone numbers around the world. The software for email list management will display message status received from the provider of cellular communication. SMS sending and mailing is very fast. You can send emails to the clients that telephone number is unknown. The mass mailing software allows you to check the status of each sent message. You can send sms or email directly from mailing software. You will be able to send emails only with Internet connection. Automatic mailing of company news. The mass mail software can work with a single customer database of organization. 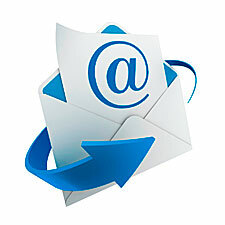 The mail list software will keep all your customers informed about the latest news of your company. You can send a massage to any telephone number. The software for mailing list management cannot send spam. You can download a free demo-version of the mailing list management software. The mailing program generates a list of message recipients by any desired criteria and conditions. You can send messages and emails at any time you want. It is possible to send email at any mailboxes. Mailings will increase revenue from sales and services. The software for electronic mailing list has an intuitive and user-friendly interface. Paid SMS sending with the lowest tariffs. There are configured lists of recipients in the mailing list app. Each user can create templates for mailing. Mailing list program allows keep in touch with each client. Mass mailing is available for everyone. You can specify the name of your company in sent emails and sms. The software for automated direct mail includes a detailed audit, so you will be able to see what each of your employee did in the software. You can see the exact time of each action in the mailing app. There are plenty of additional functions in the software for mailing management. If you want to purchase software, contact us by phone, Skype or write us an email. All contact details you can find here. You can discuss all the details with our specialists and then they will prepare a contract and an invoice. Special Software - for efficient business management!